In the Daf Yomi cycle, the last two tractates focussed on the laws of sacrifices. After a total of 230 double-sided pages we arrive at the last Mishnah on the topic (at least for now). It contains what is, scientifically, the most challenging statement in the entire Talmud. It is stated with regard to an animal burnt offering: “A fire offering, an aroma pleasing to the Lord” (Leviticus 1:9), and with regard to a bird burnt offering: “A fire offering, an aroma pleasing to the Lord” (Leviticus 1:17), and with regard to a meal offering: “A fire offering, an aroma pleasing to the Lord” (Leviticus 2:2). The repetitive language employed concerning all of these different offerings is to teach that the rewards for bringing a large or a small offering are the same so long as your intentions are for the sake of Heaven. The Mishnah teaches us what was of ultimate importance when it comes to sacrifices. It is not the kind of sacrifice that was offered. Instead, it is the intention behind the offering. But what does intentionality - the ability to decide what to do or what not to do - what does that really mean? Does it even exist? Consider the game of pool (for those outside the U.S. think about snooker). When I strike the white ball with my cue, it takes off down the green felt with a specific speed and direction. It strikes its target, say a red ball, at a specific angle and velocity, which then moves, hopefully into a pocket. 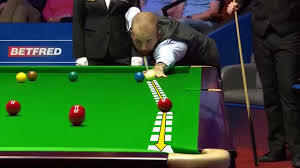 It is clear that the movement of the red ball is caused by the movement of the white, which is caused by the movement of the cue. The red ball does not decide where to move. It is acted upon by an outside force. Were we to know the precise characteristics of that force, we could calculate where the ball would end up with 100% certainty. If the table were set up in the exact same way a second time, the same shot would result in the same outcome. That’s physics. When my right thumb moves, it does so because the muscles to which it is attached contract in a certain way. And those muscles contract because the nerves that connect to them fired in a certain sequence. Those nerves fired because they received an electrical signal to do so from a neuron, or a group of neurons in the brain. And those neurons fired because other neurons in their vicinity did so. There is no magic here. They could not have done otherwise. It’s physics. Since neurons only fire as a result of a stimulus, just where is the “deciding” neuron - the one that fires because you decide to move your thumb? The immutable laws of physics don’t allow for non-material thought to influence a material neuron. That would be as silly as trying to move the red ball by wishing it into the corner pocket. Our thoughts are contained in our brains which are made up of billions of firing neurons. Take away the neurons and you take away the thoughts. So what on earth do we mean when we say that we have decided to do something? There cannot have been any free will in that decision, because neurons are as predictable as billiard balls. Your decision to move your thumb may have felt like free will, but that freedom is an illusion. So the soul, the part of us that dictates our thoughts and movements, is found inside the pineal gland, and from there it somehow influences our brains. It’s not much of a theory, as even Descartes acknowledged. In reply to question of how the soul moves the body if it is in no way material, he wrote that “the most ignorant people could, in a quarter of an hour, raise more questions of this kind than the wisest men could deal with in a lifetime; and this is why I have not bothered to answer any of them. These questions presuppose amongst other things an explanation of the union between the soul and the body, which I have not yet dealt with at all.” Yeah. So not helpful. — Wallace Matson. A New History of Philosophy. New York, Harcourt Brace 1987. 158. Philosophers distinguish several kinds of determinism. Hard determinism is the belief that since all our actions are determined (see playing pool, above,) then free will does not exist in a sense required for genuine responsibility. In the words of the philosopher Derek Peereboom, this position involves “relinquishing our ordinary view of ourselves as blameworthy for immoral actions and praiseworthy for actions that are morally exemplary.” It also makes the notion of divine reward and punishment moot. Why would God punish you for an action which you could not otherwise have done? Or reward you for a good deed that you were equally predetermined to perform? Quantum Mechanics to the rescue? We have previously explained that the behavior of individual atoms lies within the quantum level. Thus, quantum theory may indeed play an essential role in the thought process. How the workings of the brain are translated into the sensations and thoughts of the conscious mind is still shrouded in deep mystery. Nevertheless, it appears that the process of thinking cannot be described within the framework of classical physics, and quantum theory may have to be invoked. This is sufficient to disprove…[the] claim of the scientific impossibility of free will. Well, if only it was that easy. There are at least four problems with the “quantum theory saves us from determinism” argument. 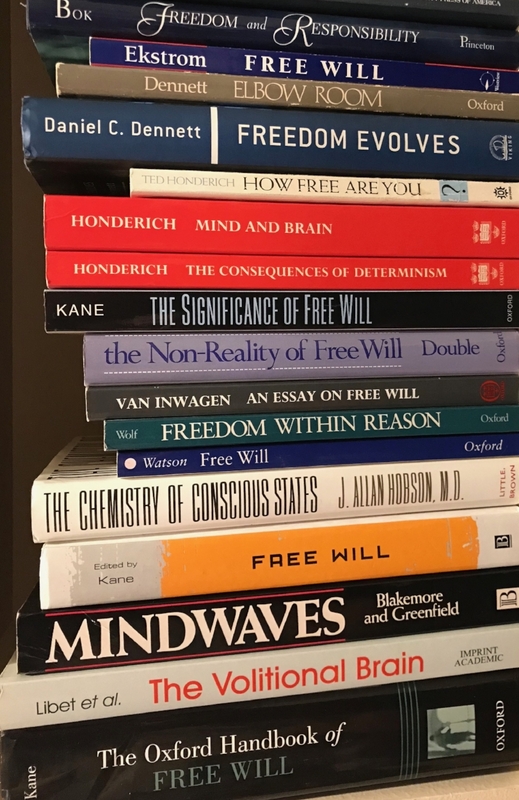 They’re not mine, but belong to Prof. Robert Kane, author of The Significance of Free Will and editor of (one of my favorite books on the topic,) The Oxford Handbook of Free Will. There has been, and continues to be considerable debate about the conceptual foundations of quantum physics and much disagreement about how it is to be interpreted. Although determinism in basic physics has taken a retreat, evidence for determinism in sciences other than physics, like neuroscience, biology, genetics, psychiatry and the social and behavioral sciences has actually increased enormously over the last few decades. And they all point to the fact that our behavior is often the result of our genes, our evolutionary history, or our social and cultural conditioning. Over the last fifty years, advances in neuroscience have raised deep and weighty questions about what it means to think and act with free will. We have come to understand that our states of mind are more determined than we had ever imagined. Consider, for example, the common affliction of depression. We now have an understanding of its biochemical basis, and as a result, it is possible to successfully treat this disease with medication. Furthermore, the genetic basis of a vast number of other disorders once classified under the general and imprecise umbrella of “mental disorders” has been determined. It would seem that the way we feel or interact with others is not volitional, but is in large part predetermined by the genes we inherit. This genetic basis of much of our behavior may even affect our ability to make moral decisions. There is evidence that criminal behavior may not only be the result of personal choice, but may be genetically programmed from conception. All this evidence suggests that perhaps we cannot act otherwise than we do. The religious thinker must grapple with the question of what this implies for concepts that are central to the major world religions, such as freedom of choice, sin, and repentance. What role do Yom Kippur and Lent play in seeking God’s forgiveness if we are never able to do otherwise than sin? What becomes of the concept of reward in the afterlife if our actions on Earth are never freely made? It is questions like these that are the basis of a new interest in the way in which scientific discoveries affect religious sensibilities. Benjamin Libet (1916-2007), the son of Ukrainian Jewish immigrants was one of the leading neuroscientists of his day, and of all the work he did (see the second book from the bottom in the photo above), it is his experiments in the area of free will and consciousness for which he is best remembered. He discovered that our decisions to act are made long before (in scientific time) we are conscious of having made them. He connected his subjects to an EEG machine, and then asked them to tap a button whenever they decided. He also asked them to look at the moving dot on the oscilloscope timer and note its position at the time they first became aware of their decision to press that button. He compared the marked time of the button's pushing and the EEG recordings, and found something remarkable. The recorded brain activity that said “push the button” occurred as many as three hundred milliseconds before subjects reported the first awareness of their conscious decision to act. The upshot means that our conscious decisions to act are actually preceded by an subconscious buildup of electrical activity within the brain. Our understanding of the biochemical basis of our behaviors, whether based on genetics or neuropharmacology, is also challenging some of the traditional Jewish notions of free will and responsibility. In so doing, science raises a set of difficulties at least as troubling as those raised five hundred years ago when Copernicus suggested that the Earth was not the stationary center of the universe. In fact, when properly understood, this challenge is far more threatening to truly important foundational Jewish beliefs than was the discussion of whether or not the Earth moves. How will Jewish thinkers respond to this most recent and important religious challenge to arise from the scientific community? Judaism, (like Christianity and Islam) will need to provide its adherents with a religiously satisfying way to address issues that are raised by these and other exciting findings. The history of the Jewish reception of Copernican thought suggests that both secular scientists and the religiously observant might have room to be optimistic. Jews eventually found a way to incorporate what was a very disconcerting hypothesis (we are not the center of the universe) into a religiously acceptable fact. It took hundreds of years, and there were some detours and backtracks along the way. But some five hundred years after Copernicus lived, a Jew whose faith is challenged by the notion that the Earth revolves around the Sun is a rare creature indeed. A similar pattern is already being seen as Jews grapple with the theological implications of Darwinian evolution. This is what will happen. Although initially there will be some Jews who will see no problem reconciling a physical or biochemical basis of human behavior with traditional Jewish teachings on free will and personal responsibility, at first, Jewish thinkers will overwhelmingly write against it. They will maintain that such a theory stands in opposition to a number of biblical verses, and will further claim that in any event, the theory is scientifically flawed for reasons that are clear to them, but somehow opaque to those scientists actually involved in the research. After a number of years (perhaps even several decades), and assuming that more scientific evidence accumulates to support the theory, the tide will slowly turn in favor of a religious accommodation. Eventually, the overwhelming majority of Jews (at least those for whom such things matter) will accept that there is no conflict between the biochemical-determinist explanations of human behavior and Jewish thought that holds us accountable for our actions. They will claim that traditional sources, when properly understood, can be interpreted in a way that lends support to their inclusive approach. That’s what I predict. I can do no other.